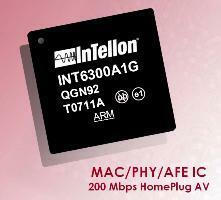 The INT5200 Integrated Powerline MAC/PHY Transceiver is the world’s first complete HomePlug 1.0 solution on a chip.In addition to the HomePlug1.0 Baseband MAC/PHY core, the INT5200 now integrates all external analog components,including ADC, DAC, AGC, filters and the power amplifier. 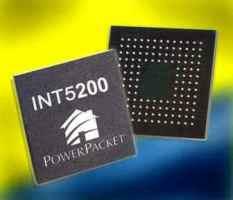 It removes the need for an external Analog Front End and reduces the system’s bill of materials even further, also improving performance. 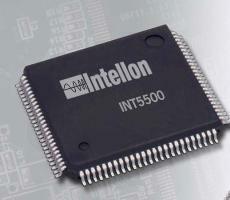 The INT5200 directly interfaces with the AC coupling transformer in the power supply. The INT51X1 Integrated Powerline MAC/PHY Transceiver is the world’s first all CMOS single chip integrating all of the digital and analog functions required in HomePlug 1.0 solution.